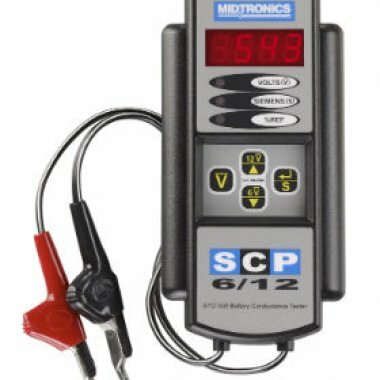 The Franklin Electric | Grid Solutions SCP 6/12 battery conductance tester provides a simple method to screen the state-of-health of popularly sized 6-Volt and 12-Volt sealed lead-acid batteries. Perfect for fire, security, emergency lighting battery testing. Easy to set up, the SCP 6/12 is even easier to use.